Flexible hose for beer, wine, distillery and beverage (edible liquid) transfer processing facilities. 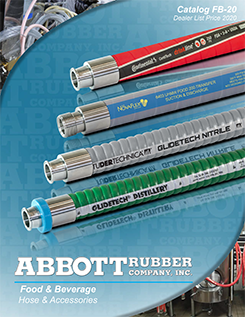 Ideal for applications requiring flexible and/or tight bend connections. Microban cover prohibits the growth of bacteria. Red, corrugated EPDM synthetic rubber (wrapped impression) Microban cover w/ Blue line.